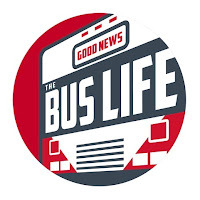 The Good family is on the road with the Good News Bus. Here is our road trip update #3. Enjoy all of the amazing scenery! Love you all and your videos! Please keep them coming. It is fun to follow you on your journey. Thank you for all you do for the Kingdom. God bless you over and over again! Tim in ND.